There is no shortcut to the top! Well, unless you or your family owns the company. For an ordinary employee, you have to work hard to be able to reach the top and earn your spot. 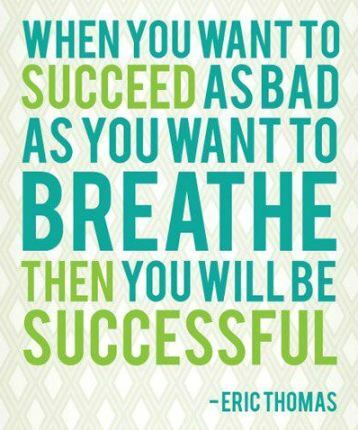 Hard work will mean a sweeter taste of victory when you finally reach the pinnacle of your career. When I was still in school, especially before college, I always wanted to be what my Mom wanted me to be. She wanted a doctor for a daughter, I also wanted that. She wanted me to become an accountant, I planted it in my mind that I also wanted to be one. It was for my Mom that I took up the course I chose in college: Accountancy. I actually wanted to become a journalist. I loved writing, even up to now. But back in school, I loved news writing more than fiction. I really wanted to do news reporting but since my Mom didn’t want me to become one, I erased it from my mind. I loved my Mom so much I would do anything to make her happy! Now that my Mom was gone, looking back, I realized that I actually wanted a very simple life. I love reading and being surrounded by books. 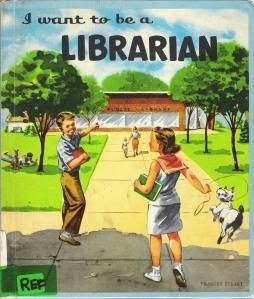 I think I would have been a great librarian! Or a book shop attendant! I didn’t want the trappings that come with being an accountant. The responsibilities, the endless reports, the over time at work and even at home… Truth is that I didn’t even aspire to become an executive in a company! All I really wanted to do was to read, write, and live a simple life. Choosing a career path? Think ahead! I’ve been reading an article written about six high-growth careers that will still be in demand in the future. I thought I’d share it here just as a guide to those individuals who are still in a limbo on what career path to take. My unsolicited advice is to think ahead! Think of the future and I am not saying two, three years from now. Think way ahead so that you know when push comes to shove, you still have security of tenure when everyone else gets the cut. In other words, cyberspace patrol. Every business out there has a home on the world wide web. And every home, virtual or not, needs protection, right? That’s where you come in! Managing other people’s finances is what you will do. To invest or not to invest? What to do with a sudden windfall to make it last a lifetime? How to stretch a bonus? That’s where a person needs an advice. What’s the trend in the market? What do you think the current demand is? You research and analyze it, is what your career will be. Want a career in the medical field without the years of medical schooling? Well, this is the career for you! An ultrasound equipment will be used in helping diagnose internal problems of a patient. Multitasking at its finest! If you are great in putting together something and still able to take care of all the little details, then this is the career for you. A career in the dental industry without the years spent in dental school is what this career is. I remember choosing my career based on its longevity in the market. I know that elders preach about choosing a job that you love so you won’t have to labor over something you are not passionate about. That’s true. But we also have to take into consideration a career path that we know will be there for a long while so that we won’t find ourselves without a job when the economy takes a nosedive. A Career Day is being held in high school, particularly in senior year, to help graduating students to choose their college course. It is not a decision to be done lightly. An individual should think about the course he/she will take up in college because it will be the basis for the profession he/she will have after school. Before Career Day, I already knew what I would take up in college. Bachelor of Science in Accountancy. I was told by my Mom to take it up because she failed to do so. It was her dream to have an Accountant for a child and since I was young and “brainwashed”, I followed my Mom’s directive to take it up. Let me point out that I wanted Accountancy, too, since I fancied being licensed. I went to the prestigious University of Santo Tomas, the oldest and one of the most revered universities here in the Philippines. It took me 4 years in college to finish my course. After graduation, I went to review for the board exams. I took the board and became a Certified Public Accountant 6 months after I graduated in college. I went to work in an Auditing/Accounting firm 3 months after I passed the board. I worked as an Accountant for 10 years before I quit the corporate world. I learned how to become a work at home consultant and never looked back! My advice to those individuals in the process of choosing their college courses, think a million times before making your final decision! You need to make sure you are excited about the course you are taking up. You need to find it in your heart that you will be happy with your choice. You need to be passionate about your course so that you won’t be working a day in your life. Don’t choose a course just because it’s the “in” course of the season. Trust me, you will find something to complain about when you are already working. I’ve seen it happen to some people I’ve worked with.